Hello friends, hope your day is off to a great start. Today I am participating in Kraftin Kimmie Peek Day as a Special Krafty Guest. Woohoo, I am so excited and super excited for this week's release. It's time to start the SPOOKY PARTY!!! 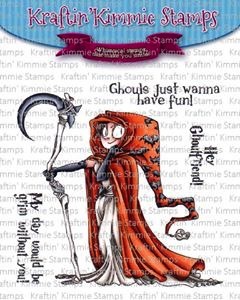 Welcome to Day ONE of our Halloween release of at Kraftin' Kimmie Stamps! Today we're kickin' off the party with a totally creepy set by artist Annie Rodrigue! It's called GRIM GRETCHEN!!! This ghoulish stamp set comes with one large main image and three fabby sentiments!! You'll get to see all the SCARY stamp sets as we share them each day this week! Be sure to join us at the LIVE Online Release Party on Saturday afternoon at 2pm EST! We'll be checking out ALL of the FOUR new clear stamp sets, sharing fabulous creations, giving away prizes and having tons of krafty fun! Time to check out this cool stamp and the project I created using Grim Gretchen. I created a tombstone treat bag SVG cutting file and cut it out using my circuit explorer air 2. 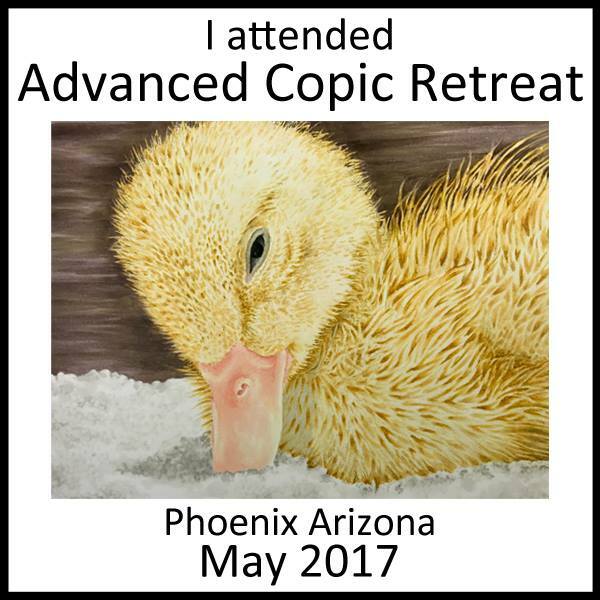 I stamped the image out on topic x-press it blend cardstock and colored her up using my copics. 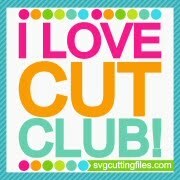 I cut her out using my brother scan and cut. I added some of the die cuts that was apart of the halloween kit to the front of the bag. I die cut a fence, pumpkin border, scary tree, and the boo sentiment from dies I have in my stash. I also created a rosette and added it to the bag as well. I love the way this treat bag turned out! This stamp set is spooky for sure and was great to add to the treat bag. All of the Krafty Krew design team members and Special Krafty Guests listed over on the Kraftin Kimmie Blog as they have lots of sweet designs to share with you today featuring the GRIM GRETCHEN stamp set! Be sure to hop around and leave lots of love at each and every stop because one lucky commenter will WIN a gift voucher to the krafty shop! Plus we're doing a GIVEAWAY of the ENTIRE release on the Krafty Friends facebook page! The winners will be announced at the party so don't miss it! Great job on the treat bag. Looks like so much fun! This is great! Thanks for sharing all the details. OMG this is such a fun and creative bag - LOVE IT!! I adore the treat bag! It's just amazing. Wow !! 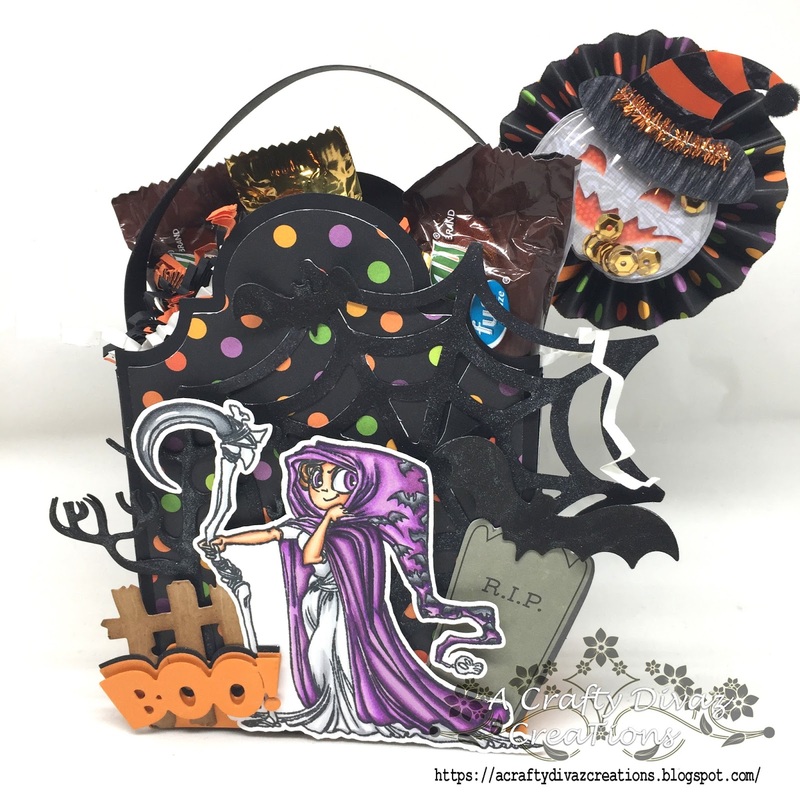 Such a fun treat bag !! Congratulations ! 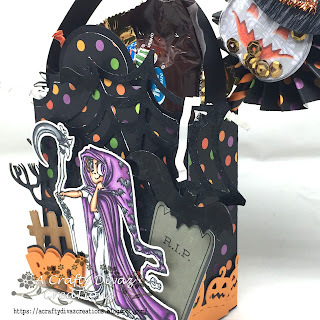 This treat bag is just so gorgeous ! I love all the extra things that you put in it !